I missed my chance to thank Mrs. Jackson. I never understood what she did for me until it was too late. She was my 6th-grade teacher and memorable for two very specific reasons. First, she happened to be the first teacher to send me to the principal’s office. Although it was probably good for me, I would still argue that she was wrong. I lost that argument. Thank you, Mrs. Jackson. Secondly, Mrs. Jackson had her private pilot’s license. As a result of her passion for everything with wings and flight, she taught every subject from the perspective of flying. From English and history to math and spelling, each subject tied back to a notebook the size of Webster’s unabridged dictionary. In the notebook, there were articles cut from the local newspaper, photos from magazines and reports from a borrowed encyclopedia. We also could earn extra credit for sitting in a cockpit at a local air show. It was all about flying, and somehow, despite my dislike for Mrs. Jackson, she captured my fascination with how a huge mass of metal could ever get off the ground to majestically soar the skies. Thank you, Mrs. Jackson. By today’s standards, she would be honored for her expertise in project-based learning and work-based experiences. Later in life, I chose Aerospace Engineering for my field of study, not even realizing that Mrs. Jackson lit that fuse. It became more than just a fascination; it became a pursuit of understanding of the science of aerodynamics coupled to the strength of materials dependent on the shape of structures strong enough to propel and support tons of metal and humans for hours on end during a safe flight. And now for a completely different reason, I wish I could thank Mrs. Jackson again. She has become my role model for how we must connect education to life for students from K-12 through post-secondary education and training. With employers' demand for skilled talent in the driver’s seat for our current economic growth of the region, we must find any and every way to connect education and training to the passion and interests of our students. I am making the case that internships are vital to develop and retain talent, however, internships are often a missing ingredient in the recipe for student success. Whether this connection comes from a parent, teacher, mentor, instructor, friend or professor matters far less than making the secure and tangible connection. In my personal experience, Mrs. Jackson provided that connection for me, which was then secured in my shop and mechanical drawing classes. This type of impact on a student’s future is why we developed the Regional Internship Program for Employers. Today, we view this personal and professional development as internships, work-based education or career and technical education (CTE) classes. Junior Achievement is incredibly successful in this arena by connecting students, their parents and employers in lifelike simulations to fit many career descriptions. It really doesn’t matter how these connections are made, but making the connections is important for three reasons. Finding a purpose in education is all about finding passion. Students with experiential exposure are far more likely to connect their education and training to something they want to do in life and how to make a living. These work-based experiences bring a sense of tangible reality to learning, studies and training. Next, a successful transition from the learning in classrooms and real-life work is closely aligned to the relationships of peers and mentors. Traditional “internships,” which may occur as early as high school, often include mentors and peers. Internships also provide a relational element to learning. Beyond a glimpse into the “real world,” students often develop a relationship with someone they respect or choose as a mentor. These human connections and relationships may last for years and provide a critical reason to “stick it out” even when education becomes tough. Finally, we need to fight for our opportunity to retain native-born talent. Northeast Indiana has a disappointing history of losing to domestic “out-migration” to larger markets. A study done by Battelle Technology Partnership Practice reported that one work experience opportunity increases a student’s likelihood of living in Indiana after graduation to 58 percent. Four work experience opportunities increase that likelihood to 75 percent. Thanks to Mrs. Jackson for making a meaningful connection to this 6th grader. Though I discovered this connection way too late in life to make a personal expression, it is not too late to follow Mrs. Jackson’s lead. 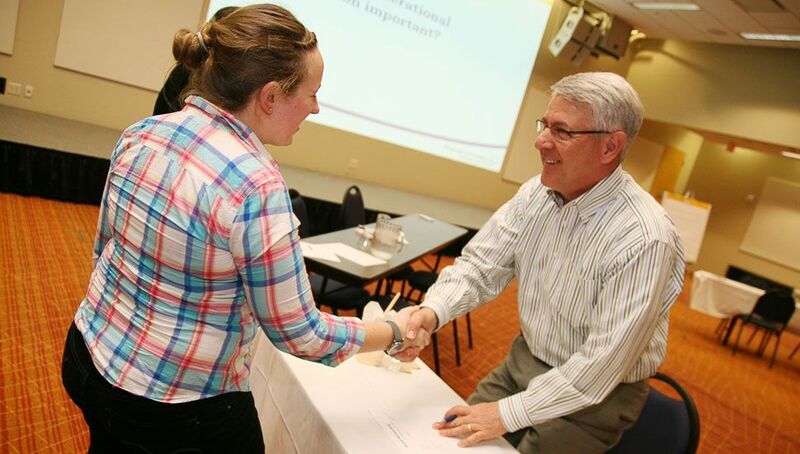 Whether it is a summer internship with a regional employer, exposure to Junior Achievement or some other form of work-based learning opportunity like earned skilled credentials, there is great opportunity to develop, engage and connect with talented individuals in Northeast Indiana. Just like it mattered for me, you could also play a role in changing the lives of thousands of our region’s students. Let’s not miss the opportunity to make internships our chance to develop connections and retain talent in the region! The Northeast Indiana Regional Partnership is hosting an Employer Kickoff event with Greater Fort Wayne Inc. and well as Professional Development events for interns. Click here to RSVP for the events or contact Regional Partnership’s Program Manager Sonya Snellenberger-Holm for more information about the Regional Internship Program for Employers or visit the website.